Posted by Farzana Naina in Poetry, Urdu. 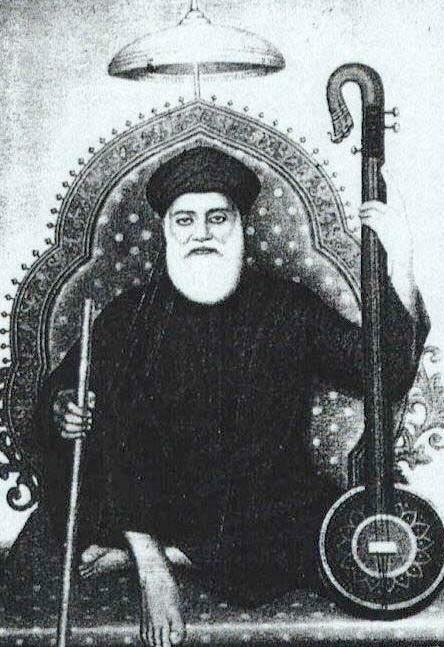 Sachal Sarmast (1739-1829) (Sindhi: سچلُ سرمستُ ) (Urdu: سچل سرمست ) was a renowned Sindhi Sufi poet during the Kalhora era. Abdul Wahab was his real name and “Sachal” was the name he used in his own poetry. Sachu means truth in Sindhi and Sachalu means truthful. Sarmast means mystic in Sindhi and Urdu. Suchal Sarmast literally means ‘truthful mystic’. 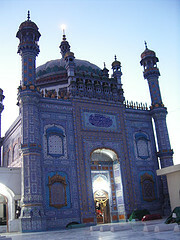 Sachal Sarmast was an ardent follower of Wahdat-ul-Wujood, an Islamic Philosophy synonymous with Hamah Oost. “Sarmast” (pronounced Sarimastu in Sindhi, meaning leader of the ‘intoxicated’ or ‘mad’) is the title often used by his followers. The title, given to him first by Agha Sufi, a compiler of his Risalo (collection of poems), refers to the fact that Sachal was intoxicated by love. Author – Jethmal Parsram : Publisher-Sachal Chair: Sarmast(Sindhi) Arrangedby: Muhammad Ali Hadaad Publisher: Sachal Sarmast Yadgar Committee.